Luxury vinyl sheet flooring is the next evolution in vinyl flooring. It is made to cover large areas, and most rolls come at around 12’ in width. 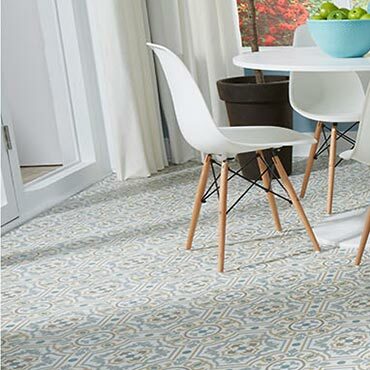 They have reinvented vinyl sheet flooring to give you products that combine incredible realism and comfort with durability and affordability. With advanced printing and texturing technologies, luxury vinyl sheet flooring is the best-looking, best-performing sheet vinyl floor in the market. Luxury vinyl provides a broad range of natural designs, from realistic wood grains to elegant stones and rustic slates. And, shopping couldn’t be any easier: just choose a pattern and color you love; and then choose the performance level you need. Vinyl’s flexible nature makes it incredibly easy to place in a room and cut around fixed objects such as cabinets and toilets. Also, you have installation options depending on which type of vinyl sheet you get: fiberglass backed or felt backed vinyl.